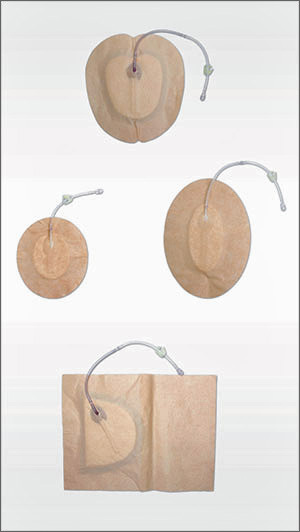 The extriCARE™ bandage are used with Devon Medical extriCARE™ 2400™ pump. These bandages have a wound pad enclosed in mesh under a sticky film that can be applied directly onto the wound bed. There is a drainage tube that connects to a canister adjacent to the pump that collects exudates and bodily fluid. The bandages come in oval shapes as well as other designs. Quick & Easy Application: Wound preparation time is approximately 15 minutes (competitors as long as 45 minutes). This allows wound care nurses and caregivers to see additional patients more quickly.